Based in Falmouth, Nova Scotia, Schoolhouse Brewery is the passion project of Cameron Hartley and his wife, Jenn. A long-time homebrewer living in an old schoolhouse, Cameron has decided to turn his hobby into a business after years of positive feedback about his beer from friends and family. Between his full-time job as a school teacher, renovating his 150-year old home, and working in the brewery, Cameron even found time to appear on the most recent season of Canada’s Handyman Challenge on HGTV. 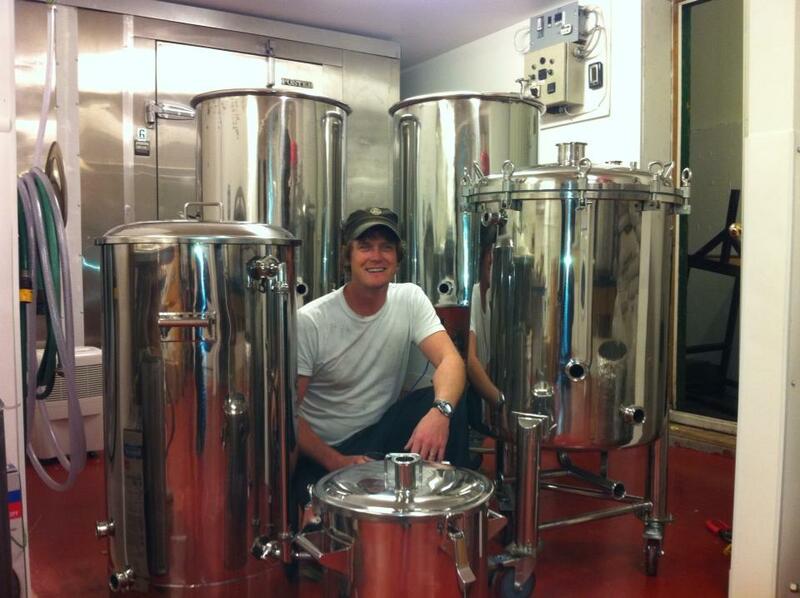 Cameron was kind enough to answer a few questions for us about Schoolhouse Brewery. ACBB: How did you get into the world of craft beer? CH: Homebrewing in an era when everyone thought beer was only supposed to taste like Moosehead. There’s been so much to do! I’ve put in lots of work on my recipes, registered the brewery name, created a logo, trademarked the name, trademarked the logo, renovated the brewspace to keep things very clean and organized, sourced environmentally-sensitive products for cleaning and sanitizing, changed my ingredients to be either Maritime-grown or organic, sourced quality merchandise that is in line with our mission, and ordered new fermentors, kettles, and sanke kegs. Of course, there’s also been lots of sampling… my market research group has been very happy. No, I’m currently trying to recruit another part time brewer/partner. The brewery will remain at its current limited capacity until that happens. Electric kettle from Stout Tanks. Two 200 L fermentors, 150 L batches. Due to limited production, I will have taps at the Spitfire Arms Pub in Windsor and the Library Pub in Wolfville. I do not think my capacity will allow for much bottling, but I am currently seeking approval for a limited amount of growlers. What beers will you be offering initially? Are you planning on offering a specific style, or styles, of beer? Any seasonals, one-offs, or will you stick mainly with a “flagship lineup”? Two beers to start: Principal Ale and Chequers Ale. The Principal Ale is an unfiltered, dry-hopped Pale Ale made with Maritime barley and organic specialty malts, 20 IBUs and 5% ABV. The Chequers Ale is a Robust Porter brewed with a generous amount of chocolate malt and Goldings whole leaf hops, 15 IBUs and 4.5% ABV. I also have been experimenting with infusing fresh hops after the boil with success. A Nova Scotia fresh hop beer will eventually make its way into the lineup. Yes, I’d like to give special thanks to Greg Nash at Rockbottom, Randy Lawrence at Sea Level, Mark at Hell Bay, Josh at North Brewing, and Jeremy at Big Spruce. Where do you hope to see Schoolhouse in the next 2-3 years? Looking into a new location, bigger production, and a possible partnership with a restaurant/pub. If I could drink a different beer every day, I would. I like what the craft breweries are doing, how they are running their businesses. For most craft breweries, it is not just about making money but doing it while making positive change. Everyone is doing that in their own way. It makes you feel really satisfied when you drink that beer. Can you share some of your homebrewing history? I started in 1994 with homebrew kits. I inherited some all-grain equipment when I returned from teaching overseas in 2005, and in 2008 I registered the name “Schoolhouse Brewery”. Lots of positive feedback from people drinking my beer. It just became part of “living the dream”. Do you have a specific ingredient in brewing that you like to brew with? I like Kent hops because my Great Great Grandfather was a brewer/pub owner in Kent, England. The Chequers Ale is named after his pub; I use a lot of Kent hops in that beer. I find it hard to beat the refreshment of Cascade in pale ales, although they are getting harder to secure. A good friend named John Westphal who I inherited some all-grain equipment from. I am still using a mash tun from him, although it has undergone many modifications. 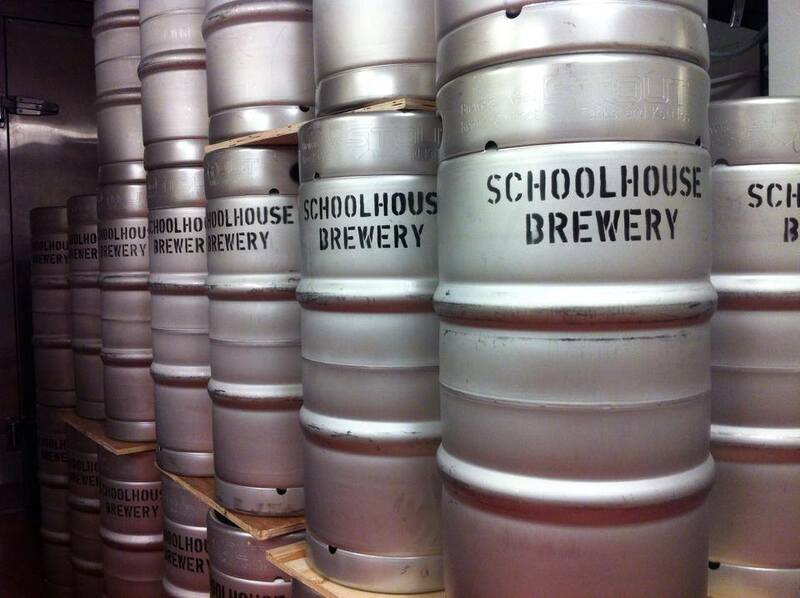 Congratulations to Schoolhouse Brewery, “The Brewery with Class”, on their upcoming launch. Look for their beer on tap at the Library Pub this Friday, June 6th, and at the Spitfire Arms on Saturday, June 7th. Cam will be there to share a pint and share his great story. The beers will be tapped around 6pm each evening. If you are going to be attending the Evolve Music Festival in July, you’ll be able to enjoy their beer there, poured from the Brew Bus Bar!